We’ve already published our previews and tips for Best Picture, Best Director and Best Actor for the 87th Academy Awards, which will be held on the 22nd February 2015. Now we turn our attention to Best Actress, along with Best Supporting Actor and Actress. Each of these three categories have one thing in common – there is a heavy odds-on favourite dominating the betting markets for each award. In the Best Actress section, Julianne Moore is widely expected to collect the gong for her turn in Still Alice. She’s currently trading at a best price of 2/7 1.29 -350 0.29 -3.50 0.29 with BoyleSports. The Best Supporting Actor market is similar, with J K Simmons a best price of 1/4 1.25 -400 0.25 -4.00 0.25 with Paddy Power, and Patricia Arquette is even shorter at 1/5 1.20 -500 0.20 -5.00 0.20 with William Hill for Best Supporting Actress. Favourite backers may consider putting the three of them together in a treble, but even then, the best price on offer is 22/25 1.88 -114 0.88 -1.14 0.88 with Paddy Power. Odds that short are not for me, and another approach to the markets is to look at them collectively. We have often seen hot favourites in the past for certain Oscars, but many have fallen short, with some even failing to garner a nomination. With the final nominees not announced until the 15th of January, there is plenty of value in taking on the favourites, on the basis that at least one of the three categories will result in an upset and can provide a healthy profit if we can find the right outsider. Julianne Moore is hotly-tipped for the award for the film ‘Still Alice’, in which she plays Alice Howland, a linguistics professor who has to deal with the early onset of Alzheimer’s disease. The movie, which is described as harrowing and heartwarming, has earned good reviews, and Moore has been lauded for her subtle performance. If she wins it could be a long overdue recognition of a career which has seen her play a number of excellent roles. However, if she’s not going to win, there are a few lively candidates to take her on with. The other leading contenders include Reese Witherspoon for ‘Wild’; Amy Adams for ‘Big Eyes’; Rosamund Pike for ‘Gone Girl’; and Felicity Jones for ‘The Theory of Everything’. 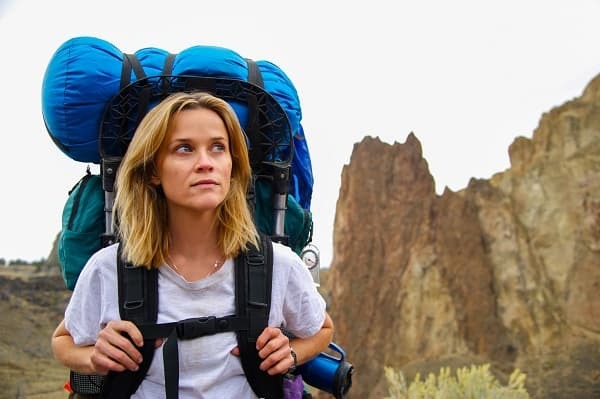 Our selection against the favourite in this category is Reese Witherspoon for her portrayal of Cheryl Strayed in ‘Wild’. The film is based on the main protagonists memoirs, which recount one woman’s journey along the 1100-mile Pacific Crest trail. The book was a New York Times best seller, and details Cheryl Strayed’s original solo trek, that she undertook in an attempt to escape her personal demons and come to terms with the death of her mother. Witherspoon dropped out of ‘Big Eyes’ (the role going to Amy Adams) to take on this movie, and it is a real leading role. It’s a world apart from the sugary romantic comedy’s that she is often seen in, and critic’s have hailed this performance as the best of her career. This category has seen J K Simmons installed as the odds-on favourite for his supporting role in the film ‘Whiplash’. He plays the character of Fletcher in the movie, an uncompromising music tutor who forms an odd relationship with a drumming prodigy when he joins a prestigious music academy. The character is an unlikable one, who uses questionable teaching techniques and fierce insults to draw the best from Andrew Neyman – a 19 year-old jazz drummer played by Miles Teller. Simmons has been widely applauded for the depth of the character, and it is the type of meaty supporting role that could easily land him this Oscar. 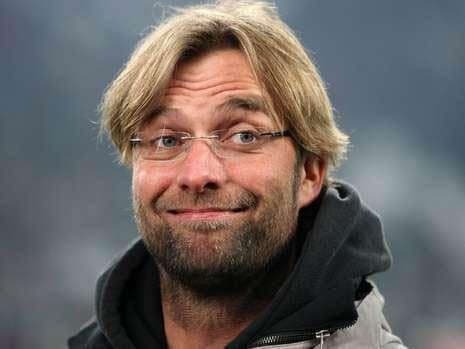 Again, though, we will look to take him on with someone at a bigger price. The possible contenders for the award if Simmons is overlooked, include Mark Ruffalo for ‘Foxcatcher’; Edward Norton for ‘Birdman’; and Ethan Hawke for ‘Boyhood’. Much has been made of Michael Keaton’s chances of Best Actor for his role as the lead in ‘Birdman’, but Edward Norton could also be a worthy contender for the title of Best Supporting Actor for his performance as ‘Mike’, a method actor who is set to perform in the Broadway show that Keaton’s character attempts to put on in the movie. The film itself has drawn praise from all quarters for its excellence, and is also in with a shout for Best Picture. Norton has been nominated for two awards in the past, for his roles in ‘Primal Fear’ and ‘American History X’, but was passed over on both occasions. Critics suggest he is back to his best in this film, and he could be set for some long overdue recognition. The strongest favourite of the three categories is Patricia Arquette for her supporting role in the movie, ‘Boyhood’. The epic twelve-year production charts one boys life from childhood to manhood, and has already received glowing praise from all quarters. It is one of only 11 films ever to earn a metascore of 100/100, and is the early favourite for Best Picture and Best Director. It would be a travesty if this unique film didn’t pick up a clutch of awards, and Patricia Arquette has earned rave reviews for her role as the young boy’s mother in the movie. She looks a shoe-in, but let’s remember that last year Oprah Winfrey was hotly tipped to win this award and failed to even receive a nomination. Possible alternatives include, Laura Dern for ‘Wild’; Emma Stone for ‘Birdman’; Carmen Ejogo for ‘Selma’; and Meryl Streep for ‘Into the Woods’. 18 nominations and 3 Oscars is a formidable track record for the Hollywood legend, and she is rightly revered as one of the best actresses of our time. She plays the witch in Disney’s Christmas offering this year – Into the Woods – and although precious little detail has been released about the movie, the news that has come out, is that Streep steals the show with her performance. If anyone is to take the award from Arquette, Streep looks to be the likely candidate at a very big price.